Welcome to the third edition of our KBS Newsletter for staff and students, we hope you are enjoying a successful first term. This quarter, along with sharing with you our latest news, features and views from our community, we’ve been taking a look at ideas surrounding Wellbeing and Happiness in the Workplace. Kent Business School are pleased to announce the naming of their new academic home as The Sibson Building, named so after the University’s third Vice-Chancellor, Professor Robin Sibson. The naming of the Sibson Building follows the precedent of naming academic buildings after former Vice-Chancellors:The Templeman Library and the Ingram Building. Professor Robin Sibson is a statistician, who is best known for his research on natural neighbour interpolation. KBS will be moving into the new Sibson Building in early 2017. The state-of-the-art building with new teaching and learning spaces and modern social and breakout areas will encapsulate KBS academic values and identity. 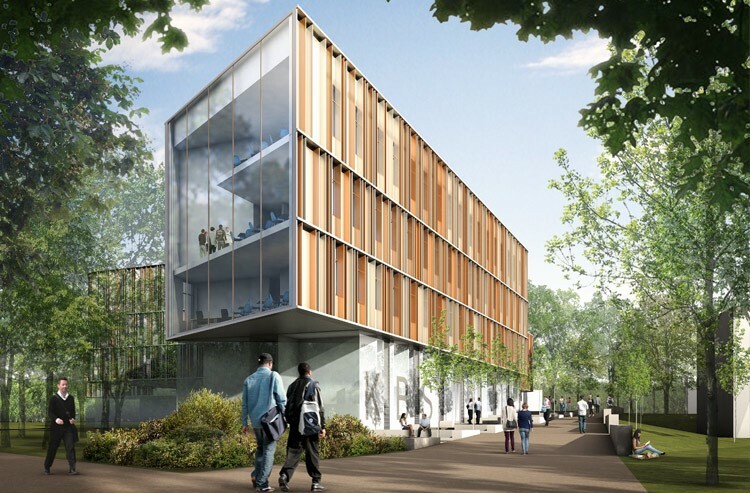 Read more information on how the Sibson Building construction is progressing. 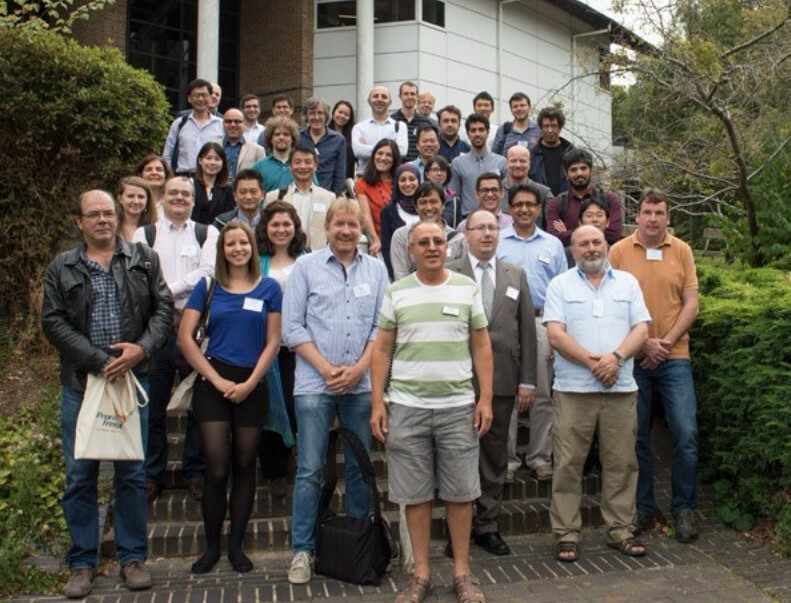 KBS were proud to host the Combinatorial Optimisation International Symposium. CO2016 is a primary forum for researchers interested in the area of combinatorial optimisation from theoretical perspectives to its vast spectrum of applications. Read the full article. 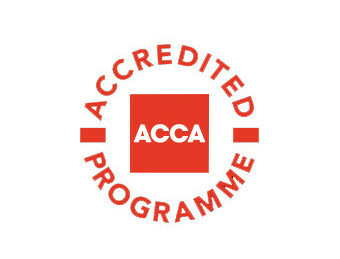 KBS are pleased to announce that the MSc International Accounting and Finance programme has been given exemption accreditation by ACCA the Association of Chartered Certified Accountants. On completion of the MSc programme, students will now be exempt from taking Papers F1-F4. Read the full article. 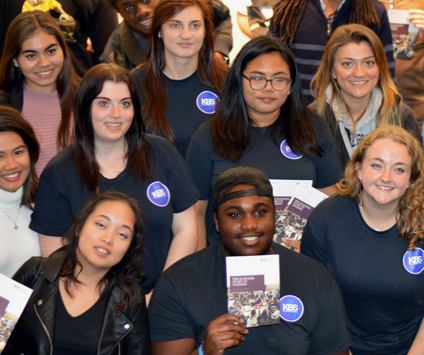 The new committee members of Kent Business Society launched their 2016/17 event calendar last week with an introduction to the Business Start-Up Journey, the entrepreneurial programme run by Kent Business School. Read the full article. 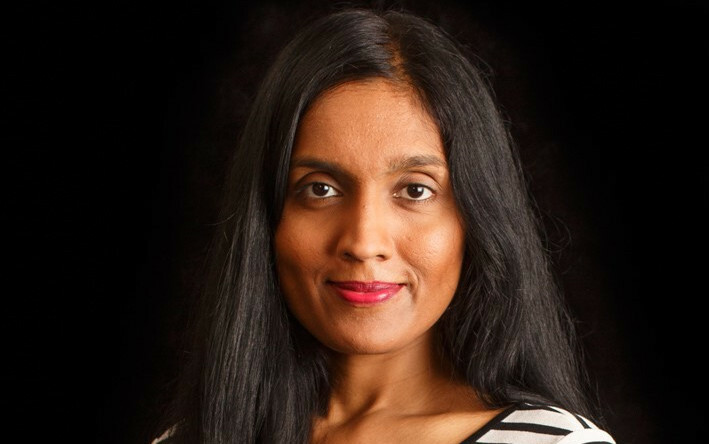 Congratulations to KBS Lecturer Dr Muthu De Silva on being awarded the best full paper in innovation by the British Academy of Management for the second consecutive year. Read the full article. 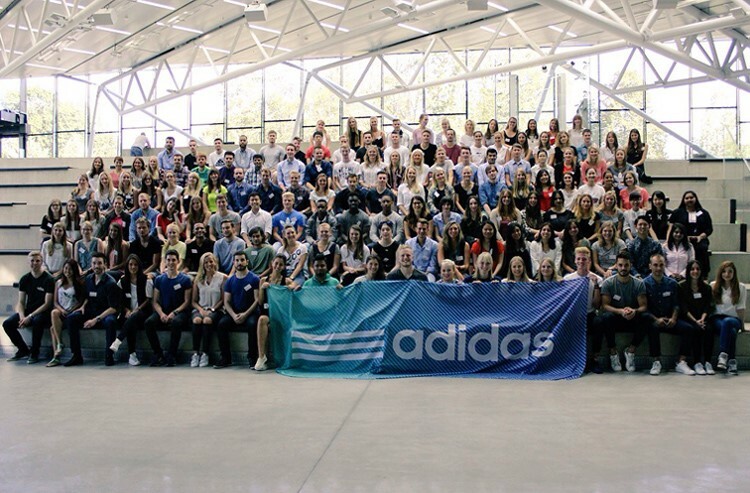 Student Blogger: Welcome Back Year in Industry Students – What did you Learn? As the new term begins Kent Business School is welcoming back many stage 2 students who are returning from their Year in Industry for their final year of study. But how did they get on, and what did they take from the experience? We asked our participants what made them most unhappy in the workplace. The survey found that 37% of you thought that friction between colleagues made them most unhappy, whilst only 3% of you said pay disputes. 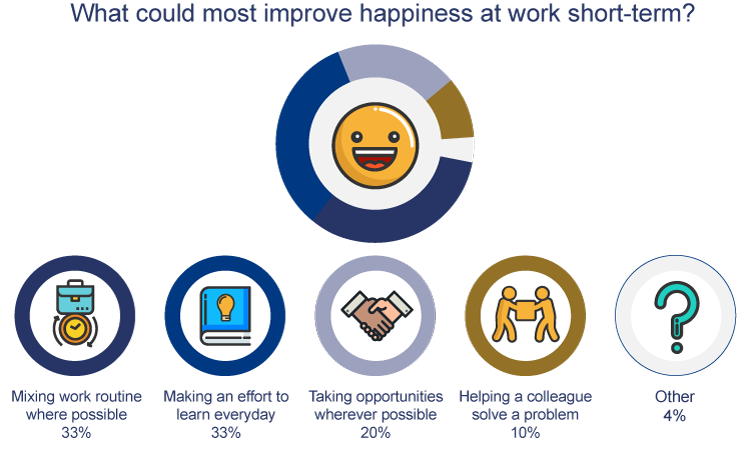 We asked our participants what would improve their happiness in the workplace short-term. The survey found that 33% of you thought that making an effort to learn everyday was the solution. In line with this quarter’s theme of Wellbeing and Happiness in the Workplace, KBS’ very own Professor of Management Yannis Georgellis, shares his research. 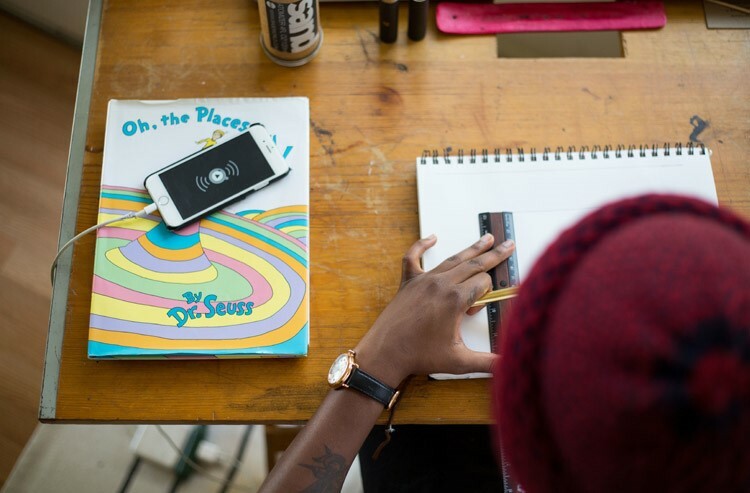 Academic Blogger: Workplace Happiness – What’s the Secret? We hope you’ve enjoyed this newsletter, if you would like to contribute to future editions, or have a story to share, please email us at kbsmarketing@kent.ac.uk. Iam honoured to be a part of KBS family. I can not wait to start my program in September 2017. Many thanks for your kind comments Jennifer, we look forward to seeing you in September.